But us knitters, crocheters and fiber artists know the true origin of the internet. It was created by knitters.The cats are just protective camouflage. Cats love knitting. 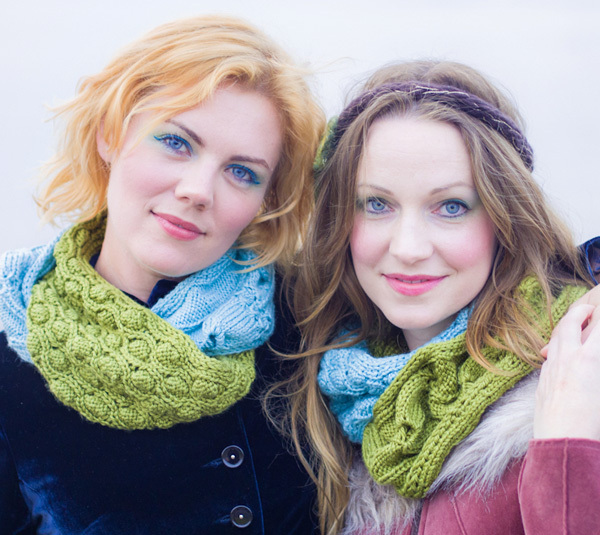 When I first discovered the secret underweb that is populated by knitters, two sites stood heads and shoulders above the rest: The Yarn Harlot's blog and the online knitting magazine Knitty. 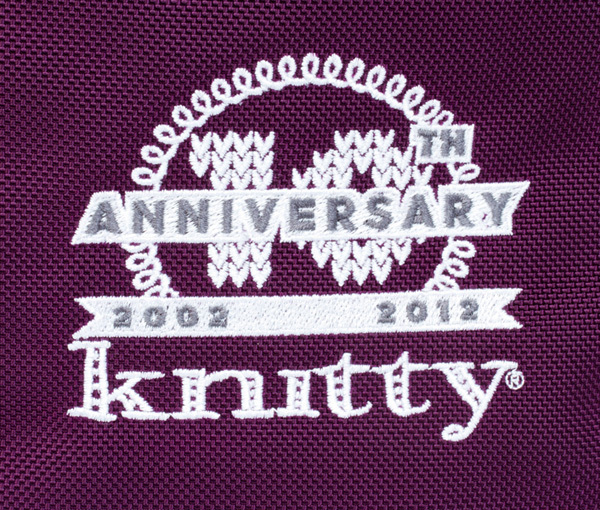 In 2012 Knitty turned 10. (It was established in 2002). I just want to say thank you for everything you've given this knitter down under on the other side of the world. Hours of pleasure reading the knitty blog. I particularly love the WWW(What's What Wednesday) posts; a weekly news round of up of the hip, happening and just plain weird news from around the knit-o-sphere. Occasionally I can even claim that it is work related. For example, the American Mathematical Society and the Mathematical Association of America featured a full day session on Mathematics and Mathematics education in Fiber Arts. Plus where else will you find out that there are more knitted penguin sweaters in the world than penguins who need to wear them or the latest amazing yarn bombing? Knitty has provided the platform for number of knitting firsts for me. 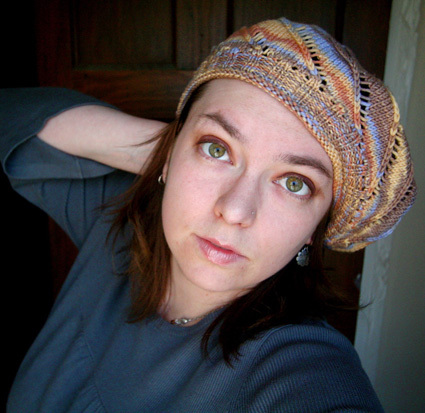 Knitty provided the pattern for the first chapter of the Beret Project. and kick started a new found confidence in my ability to make knitwear that was fashion worthy for my teenage daughters. I was looking for a beret to make for my eldest daughter to replicate the look of the day with a unique edge at at a price to not break the budget, and found Reverie by Amy Swenson. And so, not one, but two new berets were born and the start of a knitted head wear obsession that still has me in its grips more than 20 hats and berets later. (I also credit this project as the point where I knew I needed to improve my photography skills). I knitted my first fancy lace socks from a Knitty pattern: Tribute by Brenda Patipa. It was also the pattern that I used playing along with my first Ravelympics / Ravellenic Games from the sidelines not being brave enough to jump in feet first with the big kids. I completed my self imposed knitting gymnastics challenge, working a complicated lace sock on dpns and finishing whilst watching Olympic rhythmic gymnasts performing their ribbon routines. But no medals this time. I jumped the gun on the start and so didn't strictly meet the rules. But I made an amazing pair of socks that I love. (And Knitty has sooooo many cool free sock patterns. There are currently three in the queue and one on the needles). Knitty provided the pattern for my first Ravelry KAL - a cowl knit along: The BFF Cowl by Ysolda Teague and tinyowlknits from Knitty Deep Fall Edition 2012. 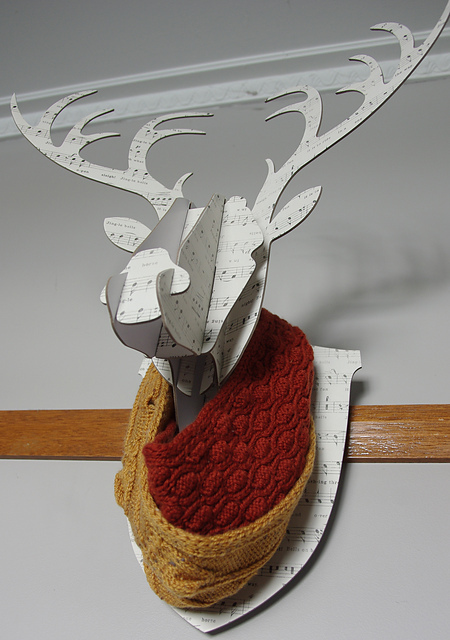 I loved this one when I first saw it when it went live in Knitty. I love the colours and the sentiment behind the design. But the pattern didn't love me - or at least the yarn didn't. From gauge issues through trying to use a DK weight yarn for a worsted weight pattern and being too lazy to swatch to running out of yarn due to using seconds yarn from the stash. I ended up starting the cocoon stitch loop of this cowl four times with three different yarns. But the finished object (whilst being nothing like I envisaged at the beginning) is beautifully snugly and a tribute to the sheer bloody mindedness your knitting sometimes requires you to demonstrate. Cast on 3: Gauge fine - pity I hate the yarn! I knitted my first jumper for my mother using Twist and Shout from Fall 2008. This was one of those bizarre rights of passage, "Don't Mums make you knitted garments?" It sorted of offended my view of what's right in the world to be the one knitting for my mum, until I realized it was a tangible way of repaying her years of handmade love for me. And while she loves the finished garment, I've yet to persuade her to pose for a fashion shoot for the blog. (And its definitely the wrong season to ask her to do it now). I won my first knitting prize from Knitty! 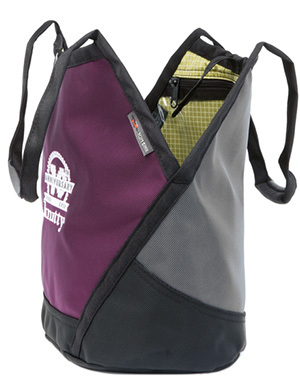 One of the last two limited special edition Tom Bihn Knitty 10th anniversary Swift bags in the world. I don't think that anyone except a fellow Knitty fan will understand the extreme depth of my joy when this arrived in the mail all the way from the other side of the world. I take this with me to craft shows proudly displaying my membership in the secret Knitty Fan Club. It's become my defacto handbag for train journeys, fits both the laptop and the knitting. Thank you Knitty. I love you! (And I just wanted to let the world know!) Keep on doing the awesome thing you do.